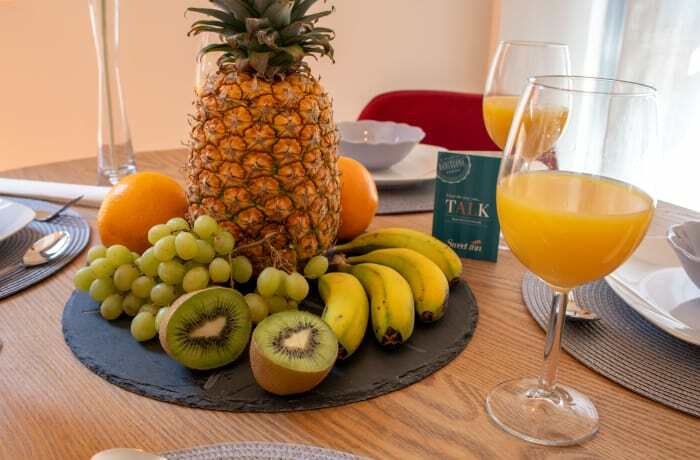 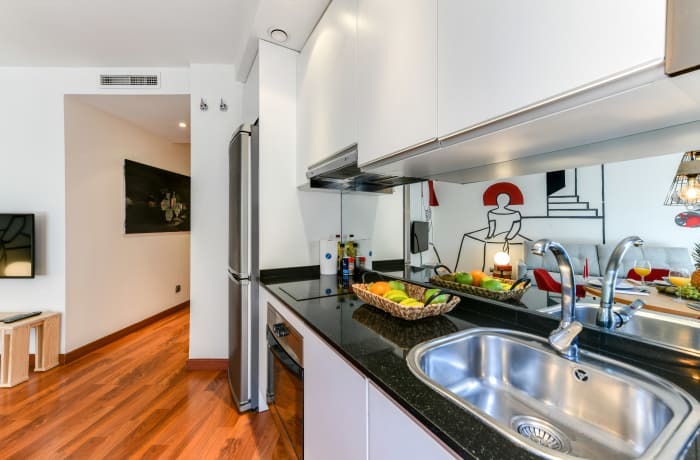 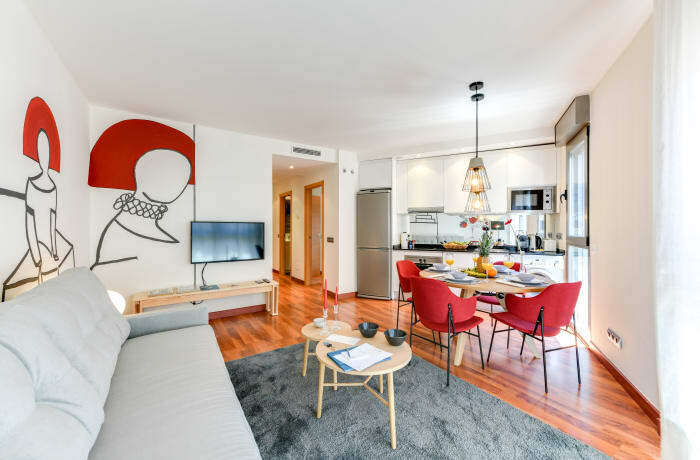 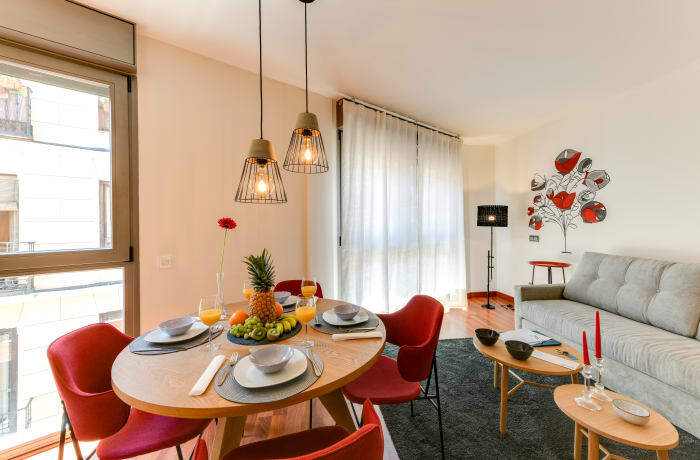 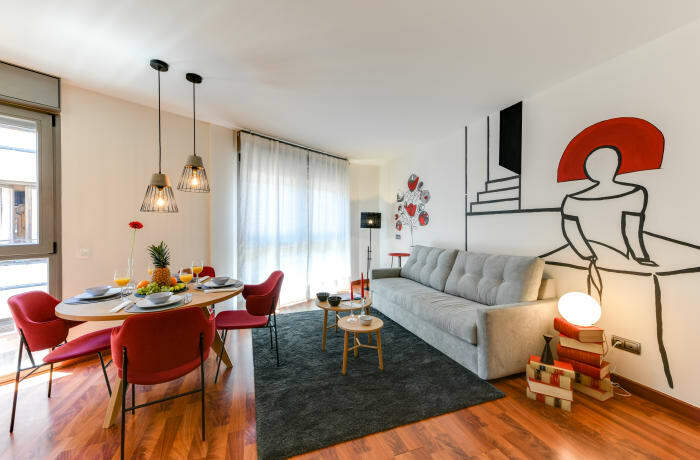 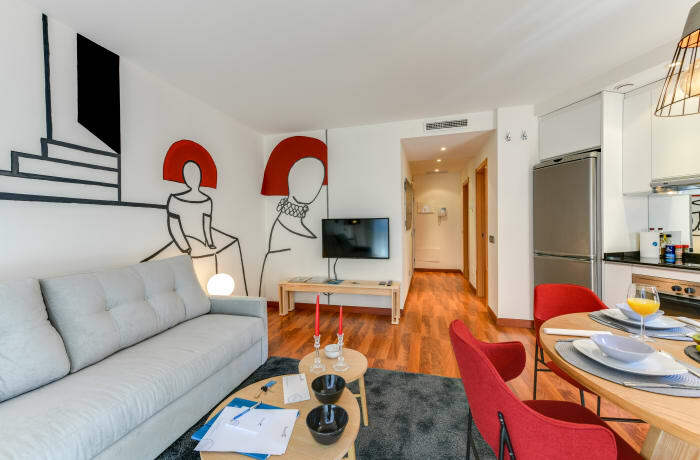 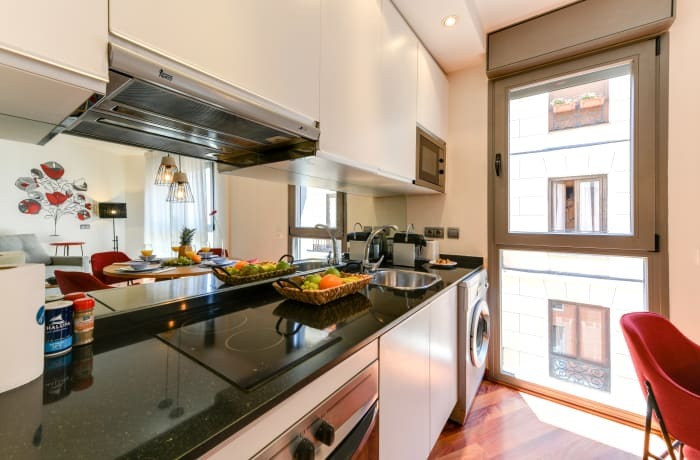 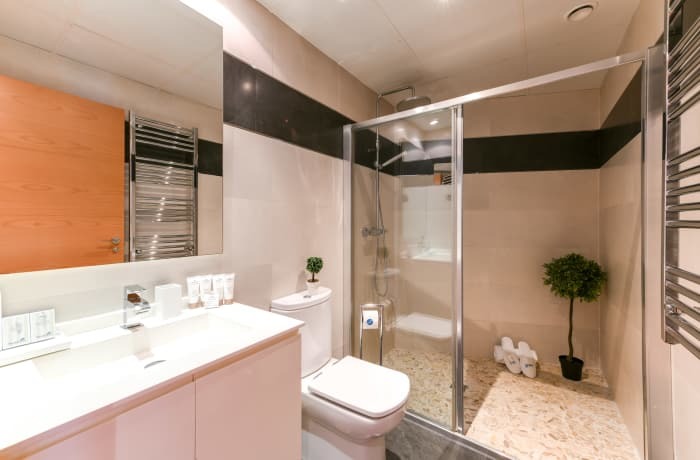 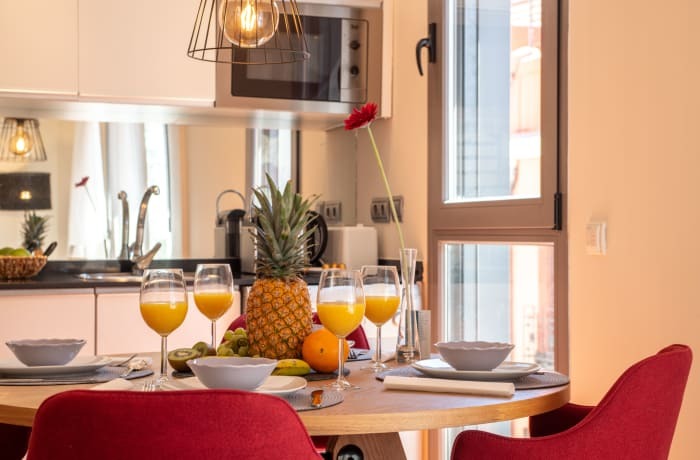 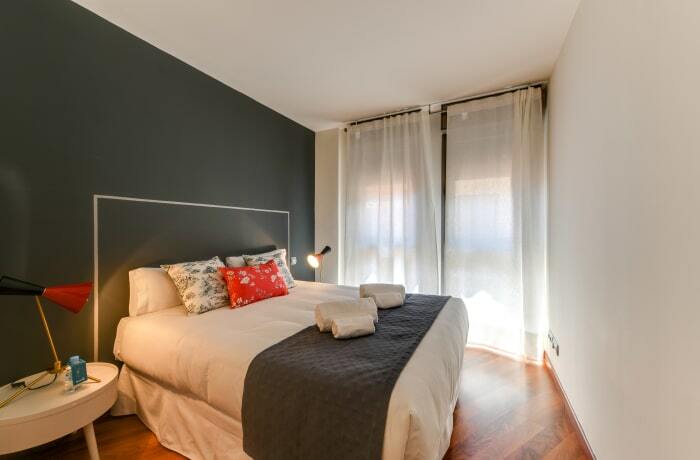 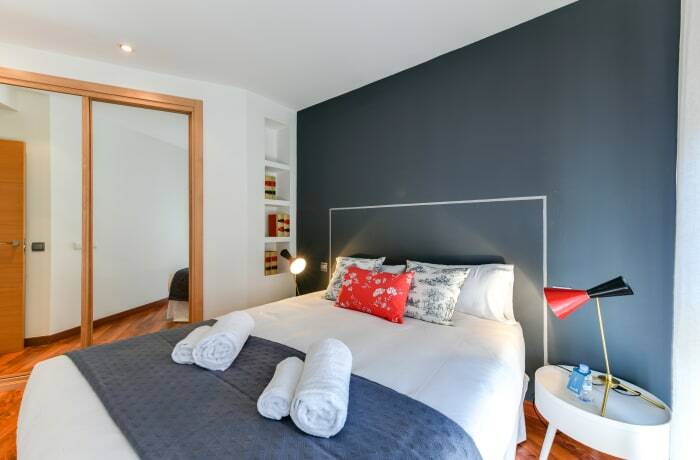 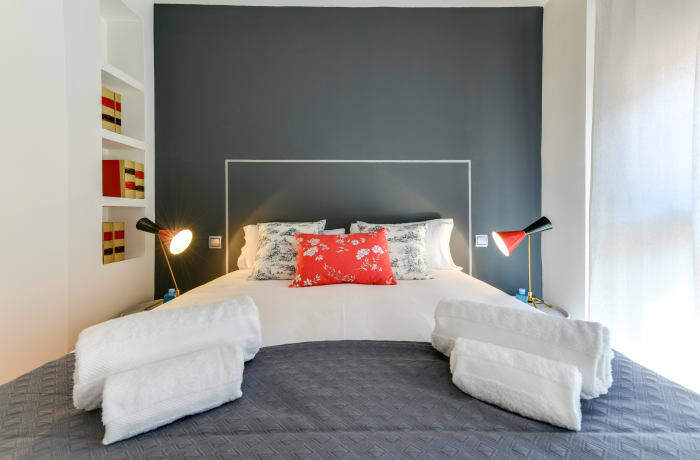 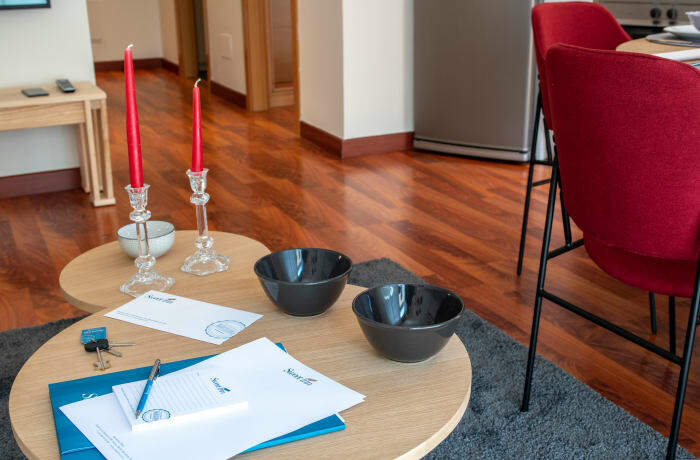 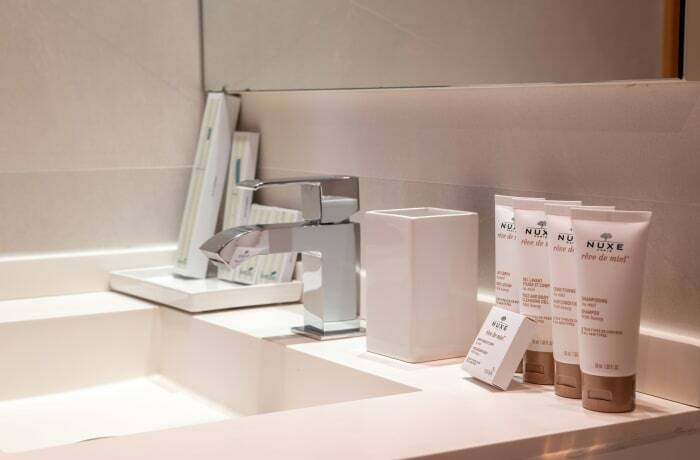 Located in Madrid’s central La Latina district, the 1-bedroom Don Pedro 3A vacation apartment is a sunlit hideaway in the heart of the city. 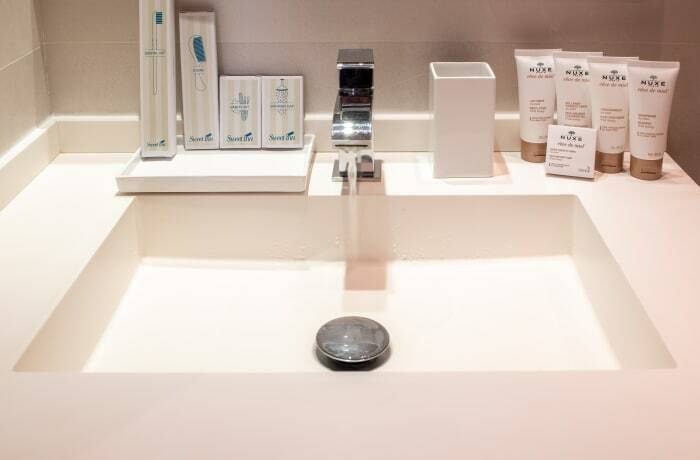 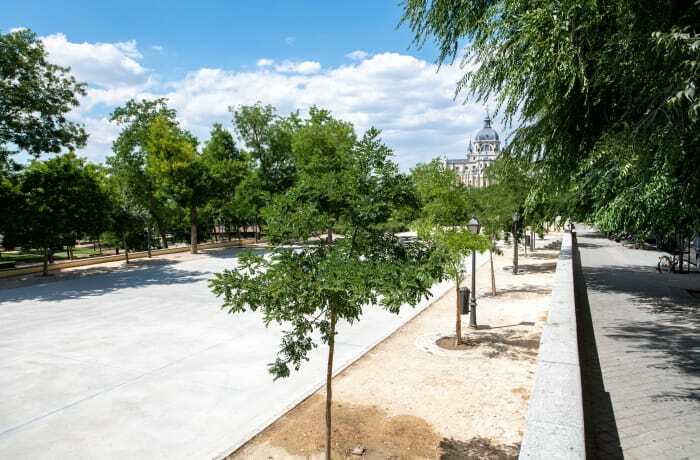 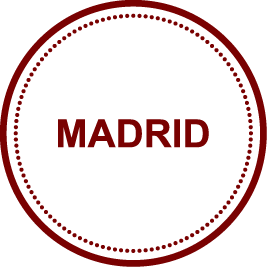 It’s an easy stroll to some of Madrid’s most famous attractions, including the Atenas Park (10 min), the Royal Palace of Madrid (10 min), and the monumental paintings and architecture of San Francisco el Grande Basilica (2 min). 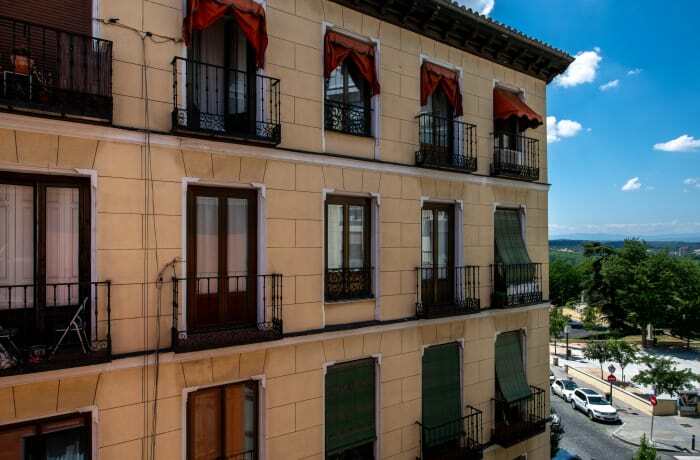 Locals mingle with tourists on the bustling streets, and authentic tapas restaurants are everywhere you look. 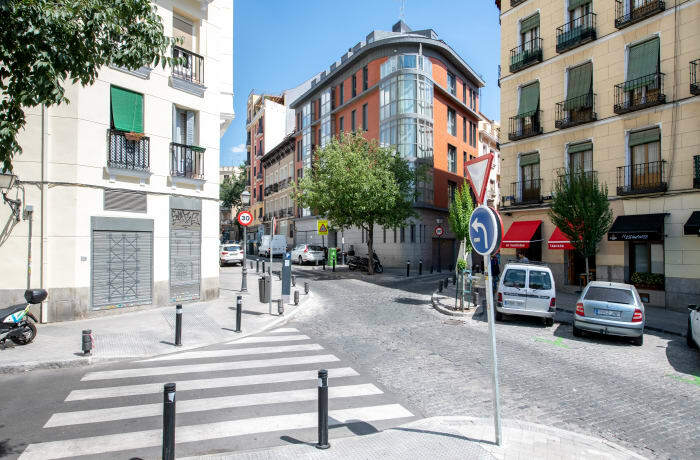 Buses are close, and the La Latina metro station is down the street (5 min).